Money making online with Amazon has become a popular method to monetise blogs and niche sites. It is something many bloggers and affiliate marketers are getting into and trying out as an additional income stream as well. If you have no idea what I’m talking about then you should know about Affiliate Marketing Guide first. If you already know about Affiliate marketing, then it will be easier for you to understand it. Since my most readers are bloggers and digital marketing professionals, I believe they would already know about affiliate marketing. It makes me think that I should explain Amazon Associates. If you aren’t familiar with Amazon Associates, then let me explain it to you. 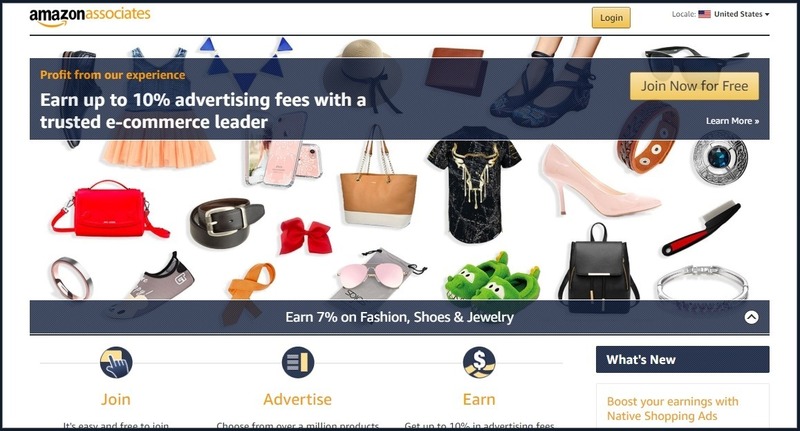 Amazon Associate is Amazon’s affiliate marketing programs for bloggers, marketers, and social media influencers to make money by promoting products through Amazon. There is a list of categories that are eligible for promotion and commission. 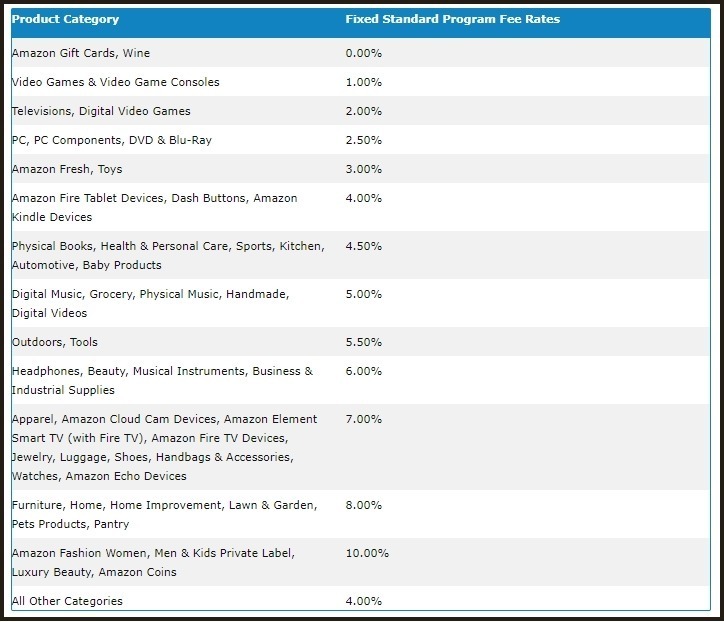 And, Amazon has clearly stated the commission percentage of all the available categories for affiliate marketers. Thus, there shouldn’t be any confusion about the certain product. Without any further ado, let’s get right into the cream of this article. Before getting your hands on any of the product links, just start your process by going through the Amazon site and see the available products and categories. You don’t have to quickly decide the product. Take your time to decide about the products. You won’t have the access to the Amazon Associates at this point because you haven’t signed up yet. So take a look at the products and their commissions through this list. It will give you an idea of the commission on the specific products. It will be easier for you to decide what product to pick. The reason you should be patient at this step is that I don’t want you to rush towards choosing the product and end up getting fewer sales. You must think clearly and use all of your SEO and ecommerce experience into this. Sometimes a low-priced product sells more than the high-priced product. So take your time and analyze that which product goes best with your blog or which category of product you’re interested in. The next step is the blog niche selection. You won’t have to rush to sign up to Amazon Associates Program. The reason is that you need an active and up and running blog for applying for the Amazon Associates Program. This is the reason I didn’t jump on to the sign-up process while telling you about Amazon Associates. Signing up is the easiest part of the process; the main thing is the selection of the niche and choosing the right products in the niche. Once you choose your niche, then you should finalize your products to promote. Of course, you would have to see the percentage of commission the program is offering for that product. You should go back to that list and make sure that the product category is listed on that list. Once you’ve decided on the products and categories, it will be a lot easier to get started with a proper money-making blog. In case, your selected product category doesn’t work out, you can always alter your strategy and change the products in the same niche. But you must know that affiliate sales don’t come quickly. Firstly, you would have to build your blog’s authority, then you would have to rank your articles, and bring in traffic from search engines and social media to get the attention and engagement, and then you would to work on the lead generation or CTA, then you should start expecting people to buy your referred products. It doesn’t happen so quickly. So be patient about money making with Amazon. If you haven’t launched your blog yet and going to apply for the Amazon Associate program, then it’s a mistake. You need to have an active blog for getting accepted as an affiliate marketer in Amazon Associates. The best way to do is that start your blog and publish content for at least two months. Start getting some traffic from social media and search engines. At least, build some engagement through social media sharing and blog commenting. So that it starts to look that it’s quite an active blog. Once this starts to happen in 7 to 8 weeks, then apply for Amazon Associate account. You’ll likely to get one. However, if your blog theme doesn’t look good or your writing isn’t up to the mark, there is a chance you won’t get approved in the program. So make sure these things are good as well. 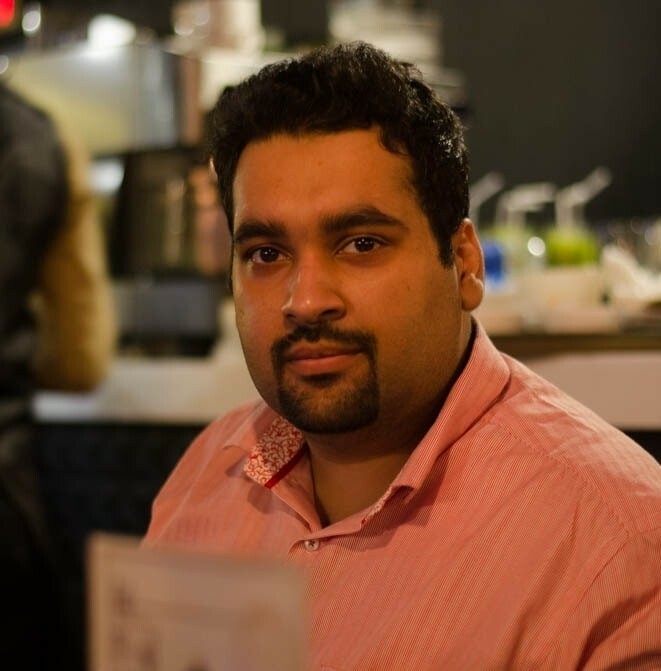 Once you have gone through all that process of niche and productions selection, blog launching, and building some traction, then apply to the Amazon Associates. You’ll likely to get approved. A lot of bloggers rush to apply to the program and end up rejected or they don’t get fruitful results from the program because they don’t plan the strategy properly. You should know that you would have to fill up the sign-up form and accept the terms and conditions while doing the registration. There are essential details that you must enter such as address, payout method, name, etc. to get accepted or receive payments afterward. Once you get accepted into the program, the next thing you’d do is promoting the product. But before you start doing that. I’d like you to stop right there and think about the content strategy of your blog. Content strategy may look scary to you but it is not. It’s just a plan for creating content that you should stick to while creating content on your blog. Everyone chooses their own pattern or style of building a content strategy. It usually includes the category of content, schedule of publishing, keywords to target, and frequency of blog posts. Once you have figured out all these things, it becomes easier to get started and get the job done because this way you would have already made the roadmap and all you need is to follow it. Amazon Associate provides a number of tools to promote the products and earn commission on the affiliate products. Understanding and testing each and every promotional tool would enable you to use the program effectively. You can get the products links to mention in your text content or link the images to the products, you can have banners to put on your blog, you can use native Amazon ads, you can also opt mobile popups, and there is a link to page option as well. So Amazon has a list of methods for Amazon Associates’ members to promote the products on their blogs or websites. You can use multiple methods to promote the products and earn a commission. Lastly, nobody would tell you this step. But you should do one more thing while making money with Amazon Associates. When you choose the products and start promoting them, analyze the performance of your selected products. If you don’t see the traffic converting very well in the next 4 to 6 weeks. 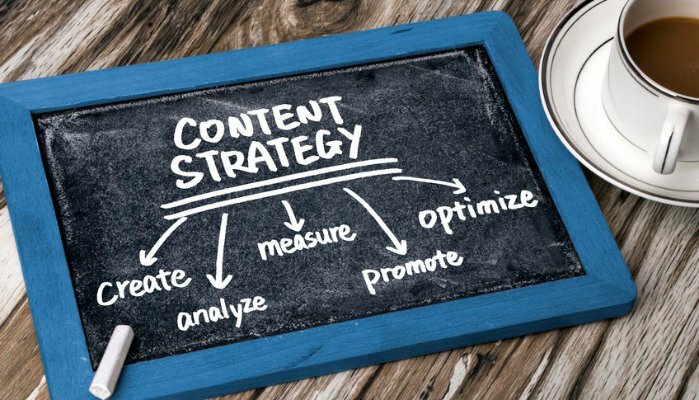 Try altering your content strategy and Amazon products along with it. It doesn’t mean shift the whole thing to a new one. Instead, if you’re promoting desktop PCs, then add laptops to your mix, and see what happens after that. 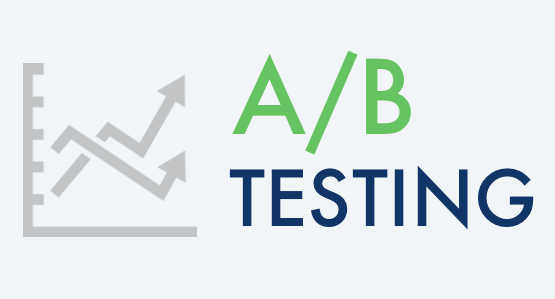 A/B testing is all about analyzing the performance after a tweak in the strategy or comparison case A with case B. It will help you understand which strategy or product is doing well. So you could continue promoting the product that is performing better. You can sell items on Amazon. Click here to learn more. You can Self-publishing a book on Amazon Kindle. If you are good at designing, you can sell your designing stuff to Merch by Amazon. So money making with Amazon isn’t that difficult. But if you’re doing something wrong like choosing the wrong products or not having any content plan or not testing out strategies, then you won’t get anywhere. 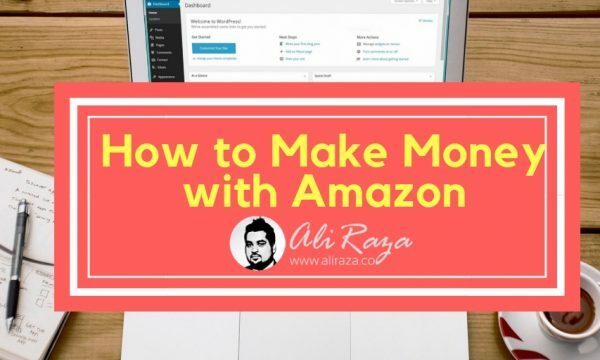 One of the main reasons for writing this guide was to ensure that you would know the processes involved in setting up the stage for making money with Amazon. It is not just about choosing any random product and putting the ad on the blog to start promoting it and expecting people to buy through your link. In fact, there is a science behind this. If people are not getting helped or educated through your content, they won’t buy through your blog. Please makes sure that you’re helping out your audience through your content. It seems like a simple affiliate marketing strategy, but it does require some technical decision-making ability, which I tried to share with you all. I hope all these steps would help you get started with Amazon Associates and you’d earn good a commission in the days to come. If it takes 7 to 8 weeks to see some money then it’s not worth it, plus Amazon pays you the least amount on commissions of anybody, they pay you once a month which is like a slave, I have worked a job or two and waited a month or more, it’s slavery whether you are at home or on a job, you render your services and Amazon gets paid off of your efforts, does anyone believe that Amazon is waiting on their money like you, no you are a hidden partner being used for their business purposes and not getting paid for it, you loan your services to Amazon while they make profit and if they could they would make you wait two months for your pay, Americans give or loan their money to the corporations and the tax system where they hold your money all year long and make huge profits off of your money holding it from you , so you are a human bank loaning your money to the Federal Reserve and the corporations and what kills me is you think that the way it should be lmao!!! !